Dividend history (IRS nomenclature, really this should be shareholder distributions- however back in the day it was C corporations who later elected to be taxed an S corporation, so dividend history still have some historical merit). Clear as mud. This is the best the IRS can come up with? What is even more frustrating or perhaps embarrassing is that this list was the final draft after probably several meetings and rough drafts. Having said that, this is how our tax system operates in many ways- leave lots of wiggle room for interpretation so the law and the standards can evolve. This list actually has two applications. Since C corporations have a high tax rate including being double-taxed, many small C corporations want to drive corporate income close to zero by paying high salaries. The IRS and the tax court will use this list to say your salary is too high as a C Corp. Conversely, S corporations want to increase corporate income by paying small salaries. The IRS and the tax court will talk out of the other side of their mouths by using this list to justify a higher salary. Yes, they get to have it both ways. Similarly to IRS Fact Sheet 2008-25 no single factor controls. It really is a preponderance of the evidence as civil courts like to say. Tax court judges will go through these lists, depending on the case and the jurisdiction, and will apply the facts and circumstances to each of these factors, and essentially make a list of plusses or a minuses. For example, the criterion might be “Payment to non-shareholder employees.” The tax court will analyze the evidence to determine the plus or minus. Let’s say the S corporation owner provides evidence that her star employee is the rainmaker and therefore the employee’s salary including bonuses exceeds the S corporation shareholder. And let’s also say that the tax court finds this argument to be compelling. This would a “plus” for the S corporation owner since the criterion of “Payment to non-shareholder employees” favors the S Corp shareholder. Continuing with this example, assume the owner had $300,000 in net income after expenses, but only paid $30,000 to herself as an S corporation salary. 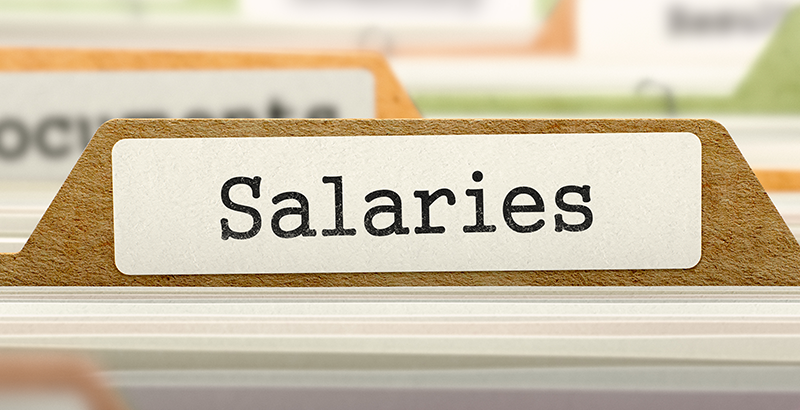 The IRS and tax court would place a “minus” next to the “A comparison of salaries paid to sales and net income” criterion as they did in K & K Veterinary Supply, Inc. v. Commissioner (Tax Court Memo 2013-84). One the resounding themes is that dividends (shareholder distributions) cannot be remuneration for services provided by the shareholder-employee. In Spicer Accounting, Inc. v. United States, 918 F.2d 90 (9th Cir. 1990), the shareholder claimed he was not an employee of the corporation and therefore his dividends were a return of investment and not compensation for services provided. The court disagreed, and claimed that Spicer provided substantial services to the corporation and therefore he was an employee. In turn, employees must be paid a salary, and in the case a reasonable salary as an S corporation shareholder. Truth be told there is some philosophical issues with the reasonable salary element where your labor is the only material income-producing factor for the business. Some would argue that all the S Corp’s income should then be considered wages and subjected to Social Security and Medicare taxes, because if you died the company would die. Do we see this “loophole” being re-defined and shrinking over the next several years? Yes. But at the same time, we say let it ride until we can’t use it. The IRS and Congress move at glacial speeds- let’s worry about next time, next time. Having said that, there might be times where your client’s business would continue without them. When the Watson CPA Group does business valuations, especially in divorce proceedings, we assign a value to goodwill. We further tease out personal goodwill and enterprise goodwill since in some jurisdictions personal goodwill is not marital property. This might seem like an odd tangent, but a similar argument can be made for a business that does not rely on the principal or owner. One great example is a financial advisor that has a small team supporting him or her- typically the fee income continues well into the future without the direct involvement of the advisor (enterprise goodwill). In this situation, an argument for a smaller salary could be warranted. Interestingly, the IRS is cracking down on S-Corp owners who do not pay any salary. In a recent tax court case, Sean McAlary Ltd. Inc. v. Commissioner (Tax Court Summary Opinion 2013-62) the IRS hired a valuation expert to determine that a real estate agent should have been paid $100,755 salary out of his S-Corp’s net income of $231,454. Not bad. He still took home over $130,000 in K-1 income, and avoided self-employment taxes (mainly Medicare) on that portion of his income. Another tax court case, Watson v. Commissioner, 668 F.3d 1008 (8th Cir. 2012), no relation to the Watson CPA Group. In this case, Watson was an accountant in a firm he owned. He drew a salary of $24,000 even though the firm grossed nearly $3 million in revenue. Watson was a Certified Public Accountant with advanced degrees. The 8th Circuit Court ruled that a reasonable person would consider the dividends paid to Watson to be “remuneration for services performed” as opposed to a return on investment. W-2 versus K-1. In essence, his return on investment (K-1) was an attempted disguise for salary (W-2). As a result, Watson’s dividends were reclassified as wages and the firm was assessed huge employment taxes plus penalties and interest. So the Tax Court and the IRS will attempt to support a reasonable salary based on your peers and colleagues. Our previous real estate agent benefited from this type of valuation. But what if the opposite was true. So, instead of earning $231,454 and only paying out $100,755 in salary, what if you earned $110,000. Would you have to pay out $100,755 in salary just because you are a real estate agent in an area where other agents earn $100,755? The answer is No. There are several factors that mitigate this. Perhaps you work part time. Perhaps you simply are not as good as your peers. Perhaps you focus on a different type of customer. Review the previous laundry lists, and as you go through each item ask yourself if you could safely use that to justify a lower salary than your peers- we bet you can find several instances. Shareholders must be paid a salary before any shareholder distributions are paid out or loans are advanced to shareholders. This is a technicality. You can take shareholder distributions as an S Corp owner prior to paying a salary to yourself throughout the year. At the end of the year, however, you must have W-2 income if you received shareholder distributions. If the business cannot afford to pay salaries, it is not necessarily required to do so. There is some gray area involving large depreciation expenses and other non-cash reductions in business income. So, if you have a pile of cash but experience a loss due to large depreciation, for example, you might still be required to pay salaries. If you believe your company won’t be profitable, then we suggest deferring the S-Corp election to another tax year. Remember there are provisions allowing a late S Corp election beyond the customary 75-day limitation- take advantage of this option by delaying your election if you are unsure. Great. We’ve gone over the IRS Fact Sheet 2008-25, tax court test criteria and various other things. The problem is that it’s all qualitative- warm and fuzzy stuff about plusses and minuses. Where do we start quantitatively? 1/3 retained for company growth. This is great starting point for a growing S corporation since most businesses need to finance growth from leftover cash after salaries and distributions. For a one-person show that is in a steady state of business, a good starting point is 40% of your net profit. So, if your net profit after expenses is $50,000, a $20,000 salary would be reasonable. Again this is a jumping off point. You must be able to justify the number, and this number could increase or decrease. Using the 1/3 concept or the 40% concept is just a starting point- since we have to start somewhere, using a mathematical formula makes it easy. From there, similar to the “plus” and “minus” approach by the IRS and tax court judges, we massage this salary to be reasonable for our client’s situation. 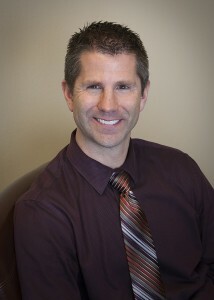 Jason Watson EA, CDFA, MBA, is a small business consultant specializing in LLCs and S Corporations including entity structure, self-employment taxes, health insurance issues and retirement planning. He is quick to point out that while some basics cover all situations, every business is truly unique. He is also a financial expert witness, a Certified Divorce Financial Analyst and Financial Advisor with the One Call Capital Group, a Colorado registered investment advisor firm. This article originally appeared on Watson CPA’s website and is used with permission of the author. ← It’s Time to Think about Rainmaking!